Most cats vomit occasionally, so how do you know when to worry? This depends on whether the cat is otherwise well or has health problem causing her to vomit. Clear as mud? Look at it this way. Occasional vomiting can be normal. For example, when a feral cat goes hunting, she gobbles down the kill extra quick before another cat steals it. She digests what she can, and then vomits back the indigestible bits like fur or feather. This is normal, and Mother Nature’s way of keeping her healthy. There is an argument which says pet cats, just like feral cats, are designed to vomit from time to time. For a lap cat this might be triggered by a hairball, when hair rubbing the stomach lining triggers the vomiting reflex and up it pops onto the lounge room carpet. This is an example of a ‘happy’ vomiter doing as nature intended with nothing much to worry about. The trick is to recognize when the cat is unwell or has a problem behind the sickness. Let’s take a look at some of the health issues which can cause a cat to vomit. That sticky pile on the Chinese rug consists of the cat’s stomach contents mixed with digestive juices. Whatever was in her stomach, is now on the floor, which makes vomiting an efficient way of voiding toxins or spoilt food from her system. Indeed, vomiting is a protective reflex that allows the cat to get rid of noxious substances that might otherwise harm her. The reasons for sickness can be broadly divided into those problems directly related to the gut and those where ill health produces vomiting as a symptom. Anything that inflames or irritates the stomach will cause vomiting, which is where sickness due to medication or food intolerance comes in. Sickness is especially significant if the cat is taken a nonsteroidal anti-inflammatory, such a meloxicam (a common drug prescribed for arthritis) as it can cause stomach ulcers. If your cat is on a prescribed medication and starts to be sick, notify the vet right away. However, we shouldn’t overlook common problems, such as intestinal worms, as a cause of gastric irritation. After all, having a stomach full of wriggly roundworms isn’t going to sit well with anybody! Regular deworming is essential. But even then, some worm species can survive certain dewormers, so a stool sample may be necessary. Some cats suffer with food allergies or a sensitive digestive system. Their immune system overreacts to certain foods, causing inflammation of the gut lining, and either sickness or diarrhea (or both!) In the same way that a person with a peanut allergy should avoid nuts, the cat should avoid eating whatever it is she reacts too, for her symptoms to resolve. A close relative of food allergy is inflammatory bowel disease (IBD), indeed food allergy may be one of the causes of IBD – but not the whole picture because factors such as stress or pre-cancerous change can also trigger the condition. These cats may have a combination of sickness and diarrhea, since most of the gut is inflamed and overly sensitive to anything put in it. Treatment often involves medications to reduce inflammation and a special diet. Bacterial or viral infections can cause vomiting in cats. Some can be potentially life-threatening so be especially cautious if your cat isn’t vaccinated. Usually these cats are also down in the dumps and lose interest in food and lack energy. In the most serious cases supportive care with intravenous fluids, antibiotics, and anti-sickness medication are required. One of the kidneys’ many jobs is to filter toxins from the bloodstream. When the kidneys are failing, levels of natural toxins rise and irritate the stomach lining, causing sickness. These cats are often unwell in themselves, with a poor appetite and weight loss. The thyroid glands produce a hormone which regulates the body’s metabolic rate. Too much thyroid hormone and the whole body is overstimulated, including the gut. Aside from vomiting, other symptoms include being hyperactive, eating a lot, but losing weight. 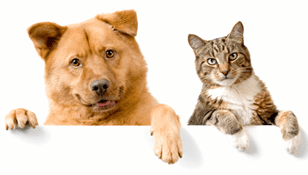 Treatments are readily available so chat to your vet about options. The pancreas produces digestive juices. If those digestive juices leak out of their ‘holding cells’ they will start digesting the pancreas and surround soft tissue, which results (amongst other things) in sickness. This condition can range from mild to life-threatening so play it safe and see the vet. Sudden onset vomiting: If the cat is repeatedly sick and it persists for several hours. Daily vomiting: A pet cat fed a good diet should be sick no more than one a fortnight or so. If she is sick daily or even weekly, then something is amiss. Diarrhea: Sickness with diarrhea is a combination which quickly leads to dehydration, so don’t dilly-dally about getting help with this one. Taking medications: If your vet prescribed a medication and now the cat is vomiting, it’s possible she had a reaction and the vet needs to know about it. Blood in the sick: At no time is blood in vomitus normal, so see the vet right away. Pain: If she seems in pain or distressed, see the vet. Other symptoms: From lack of energy to increased thirst, weight loss to weight gain, if your cat isn’t herself or has signs of ill health, then she should see a vet. If you are worried about the cat, trust your gut instincts and get her checked over by a veterinarian. You know your pet. Under some circumstances vomiting is normal and nothing to worry about, but if in any doubt please get your cat checked out. The post Why is My Cat Vomiting? appeared first on Love That Pet.